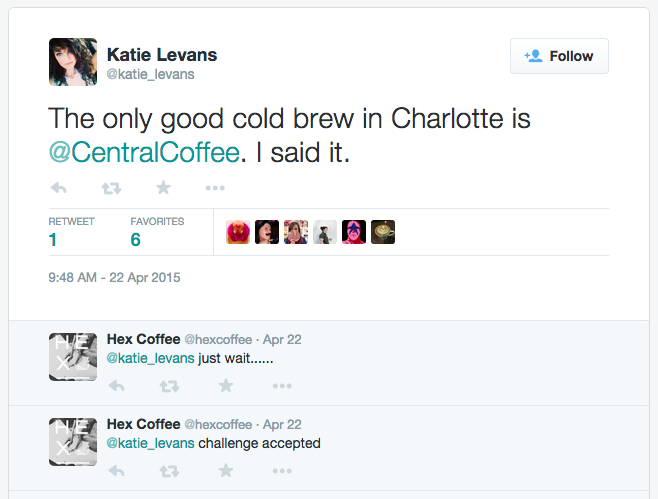 Hex Coffee isn’t even open yet and it’s already cooler than all of us. 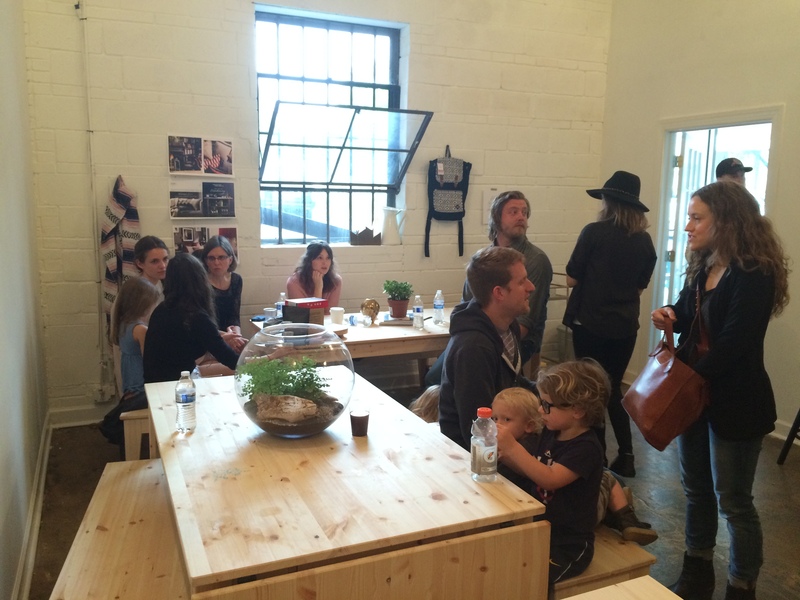 The currently homeless coffee shop is the latest to apply the tried and true popup-to-permanent model, hosting their release party in South End on Saturday. Branding – Minimalist, impactful, everywhere. Really elegant execution turned a temp space into something that to me (an outsider) felt like an authentic reflection of the brand. Simplicity – Four items on the menu. This could be by strategic minimalist design or by necessity given space and resource limitations, but I like it. Filter, cold brew, Nitro cold brew, waffle. WAFFLE. WAFFLES – Oh crap, there are waffles! 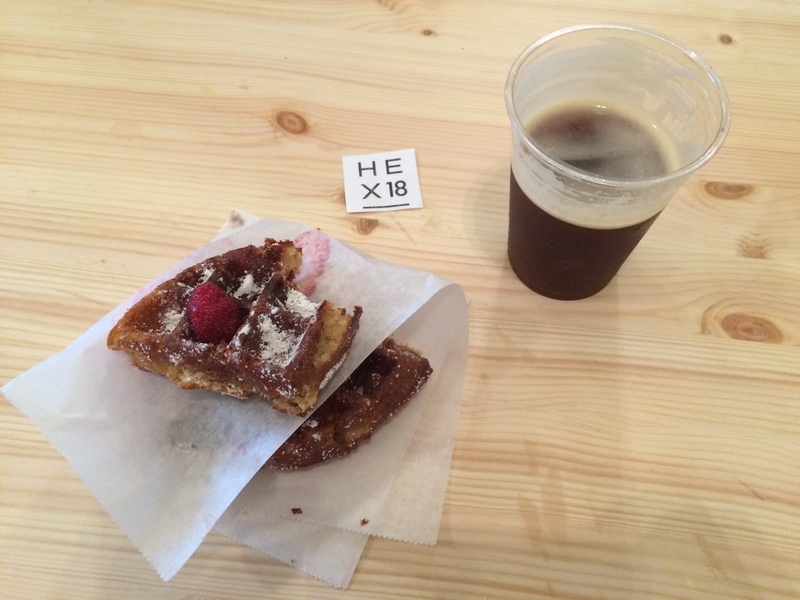 I had the strawberry sugar waffle, which is made with a Noda Brewing Jam Session beer batter. Unreal. History – I chatted very briefly with co-founder Chandler Wrenn and learned his family has been in Charlotte for over 100 years. He loves Charlotte and hates to see people use it as a pass-through city, staying for a couple years before moving elsewhere. He says he’s always just wanted to show people why Charlotte is the place to be and stay. Good Coffee – I talked some serious smack last week tweeting that Central Coffee has the only decent cold brew in town. 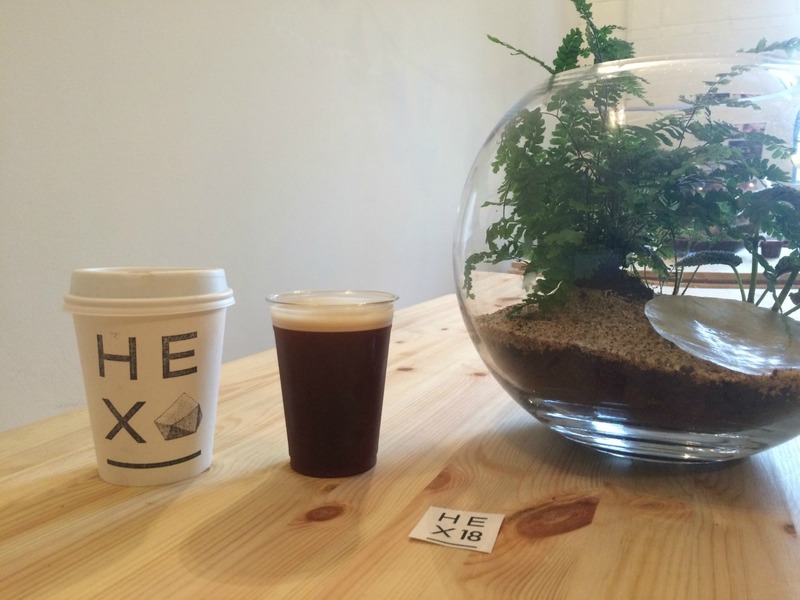 Hex chimed in that they were up for the challenge and totally delivered one of the best cold brews I’ve ever had. 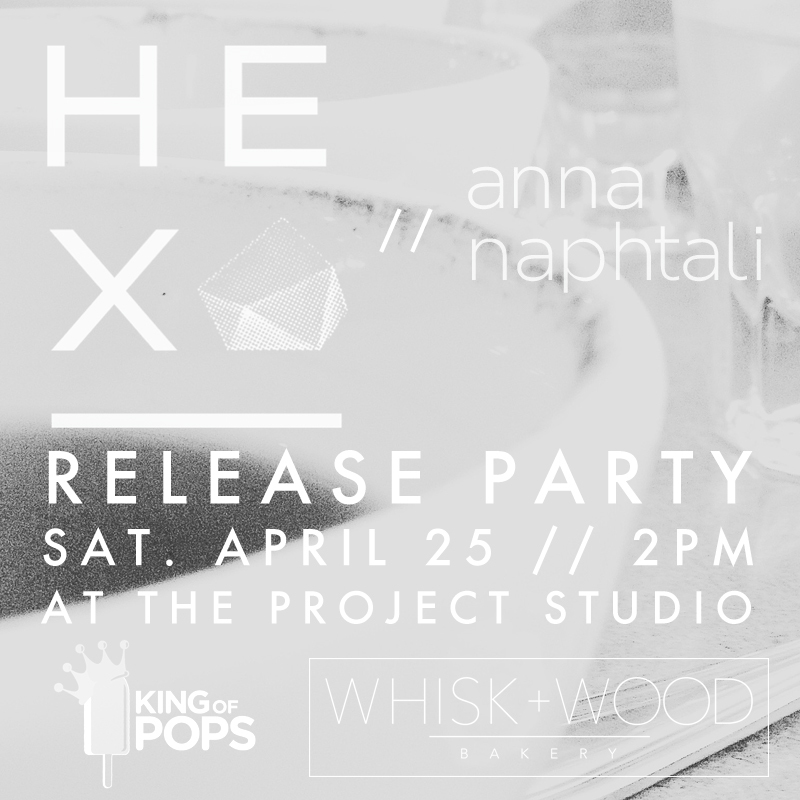 Hex’s next popup will be at Art & Soul of South End next weekend. They’ll be popping up until they can raise enough capital for a permanent location. Keep an eye on their Twitter and Instagram for more event updates.